It's been bittersweet leaving Tasmania's beautiful shores. On one hand there's no more waking up to Kunanyi's many faces of a morning, yet at the same time we aren't missing the leeches or snakes! We recently spent a couple of months in Scotland and one of the highlights was five days spent on the Isle of Skye. Those of you who have been will know what I'm talking about; those who haven't need to add it to their travel bucket list ASAP!! 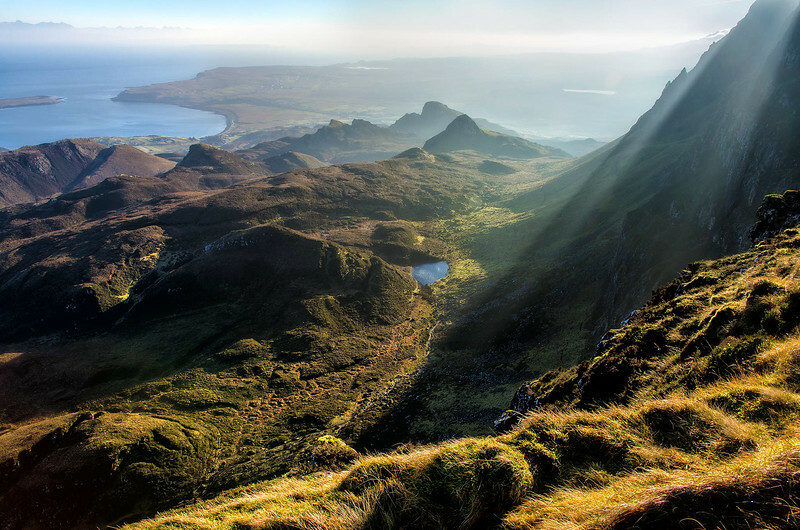 Such stunning vistas and our hike into the Quiraing was by far the best of the walks we managed to squeeze in. Click through to our recent blog article where you can see through our notes and copious photos just how incredible this corner of the world can be! You're right about that! It was rubbish the 2-3 days earlier...mists hanging low, rain etc. A great way to finish our time on the island in the end though! I spent the month of september in scotland .Its an awsome place to walk every little town seems to have a track to explore .We had great weather for 3 weeks but spent the last week in the highlands with wind and rain a great way to finish my time there.The people are some of the best you will meet hope to get back there soon still so much to see. Too true. Those signposts for walking trails are absolutely everywhere!! Lucky *&%$#! - it's 28 yrs since I've been there, and I'd love to go back. We took a tour out to the start of the walk, crossed over to a pub on the main road, then a bus back to Portreigh. Thanks for sharing digbyg!! Unfortunately we didn't get a chance to do a bushwalk in the Cuillans. It looks like such a rugged, inhospitable, yet beautiful location.